Oh, Roger Clemens…just give it up already. You can’t save your reputation – it’s already destroyed. And with that, the steroid era in baseball got a little more pathetic. 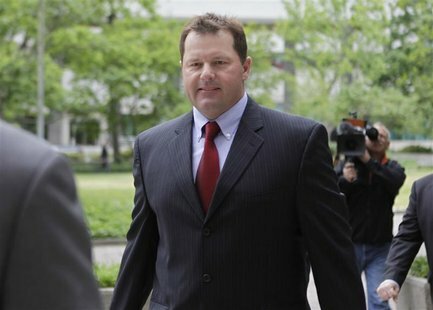 The question was posed by Michael Attanasio, Roger Clemens lawyer, to Andy Pettite during Clemens perjury trial on Wednesday. The Clemens trial is unintentionally hilarious and sad because the Rocket is so desperately trying to save a reputation that no longer exists. I’m sorry, Roger, but there really can’t be anyone who follows baseball who thinks you’re innocent, but it sure is fun watching you throw people under the bus and using ‘misremembers’ in a sentence. Perhaps the worst portion of Pettite’s testimony dealt with a conversation in which Pettite claims Clemens mentioned using Human Growth Hormone (HGH). In 2005, Clemens used the term ‘misremembers’ to describe his former teammates statements. Clemens claims it was his wife that had used HGH and that’s who he was referring to in the conversation with Pettite. Classy move blaming your wife for using drugs. That should endear you to the public. Honestly, who handles PR for the Rocket? The baseball fan in me wants to beg Clemens to stop, admit it and move on. But we all know he won’t do it. He didn’t give in as a pitcher and we know now that’s part of his makeup as a person, not just a player. There are no winners in this trial, just ever darkening shades of grey in an era everyone would like to forget.